Expect snow to break out thursday morning and continue on into friday. 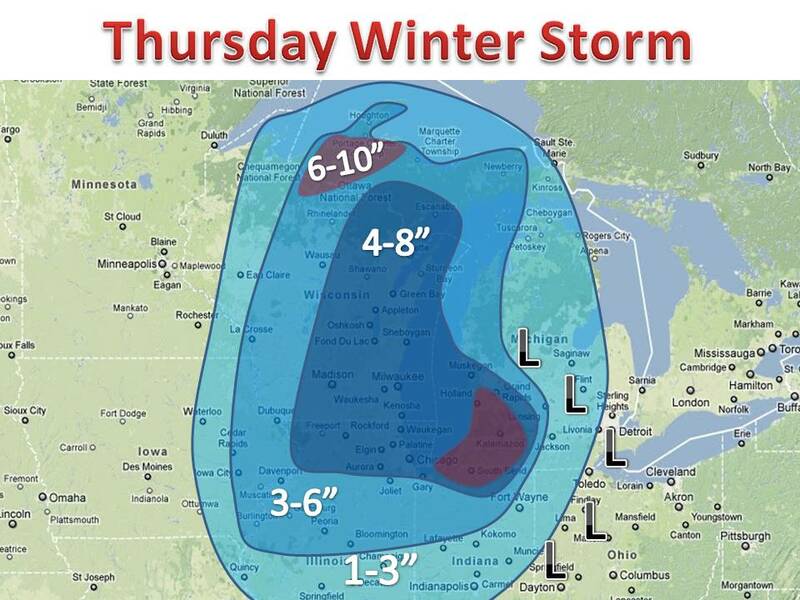 Temperatures will crash all day on thursday leading to a fluffy snow. As the low deepens over Michigan strong winds will really get going, which will lead to blowing and drifting in eastern Wisconsin. 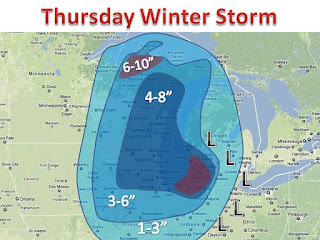 Final totals will generally be 3-7" with the highest in southwest wisconsin and areas will lake effect/enhancement will kick in.